My first competition in scouts was the South Ribble Dragon Quest 2014 and I thoroughly enjoyed the experience. Although I was the second youngest member of the team, I fully participated and gave my strong points into the competition. Along with five others, I did several different challenges and walked about 12 kilometres, all within 6 hours on Sunday the 21st of September. Dragon Quest is basically a mini Bowlander, giving scouts a taste of what they may come across if they entered the Bowlander for the first time. 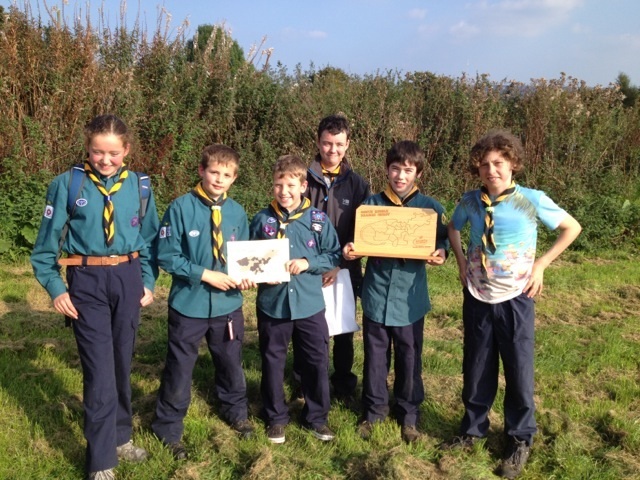 There were many different bases including: fire lighting, flagpole assembling, orienteering and lots more, as well as timed walks in between each activity. 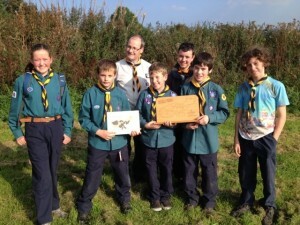 Each team entered has a range of different aged scouts and each scout group can enter a maximum of 2 teams in the event. I would describe Dragon Quest as challenging, exhilarating and fun (especially because we won! 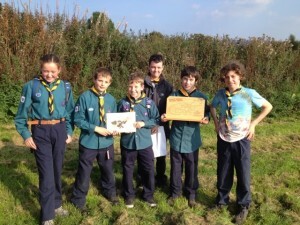 ), but if I were around 30 years ago I wouldn’t have been allowed in the scouting movement at all, because I’m a girl! I’m glad they changed that rule, because since I joined 8th Penwortham it has built my confidence, I’ve meet new people and I’ve had an amazing time too. I hope that you enjoyed my story about Dragon Quest and I hope it convinces others to take part in the South Ribble Dragon Quest next year. 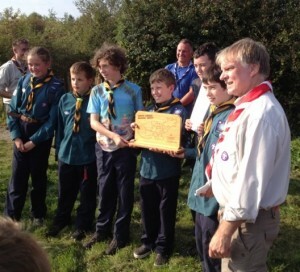 The event was a great experience and hopefully us in 8th Penwortham will continue on our winning streak!